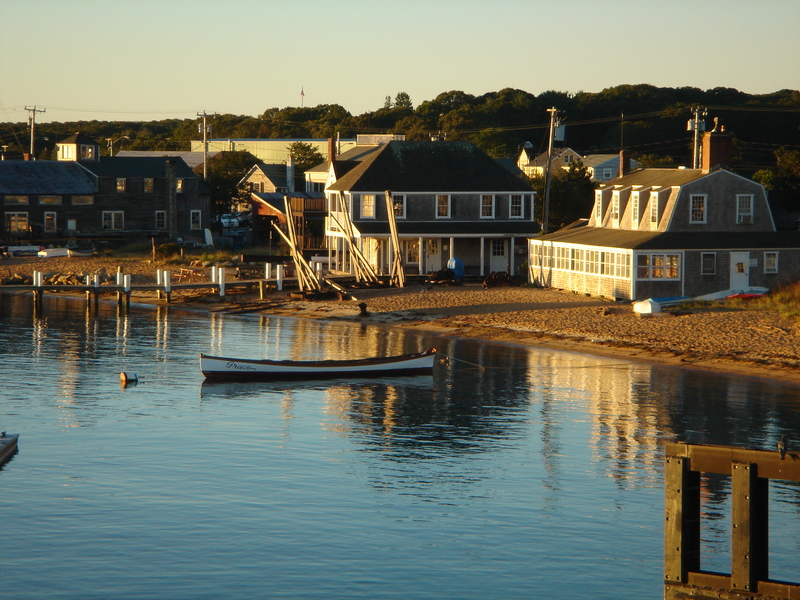 Although it’s Martha’s Vineyard’s year round port of entry, Vineyard Haven possesses a low key and relaxed atmosphere especially attractive to young families and those who prefer peace to partying. In the afternoons, streets are busy with visitors exploring the town, just steps from Martha’s Vineyard’s year round ferry terminal. But as evening approaches the mood slows, the streets fill with families in search of dinner, ice cream or a movie. Just outside of town, Owen Park has swings, a gazebo and a small beach at the bottom of the sloping lawn, perfect for picnics. 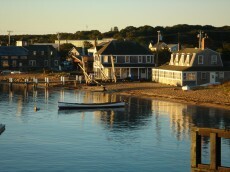 Vineyard Haven is also home to the Vineyard Playhouse and the Katharine Cornell Theater on Martha’s Vineyard. Don’t Miss: Band concerts at Owen Park, on alternating Sundays July-August at 8 pm. popular spot for late day soccer, baseball and basketball games.